Let’s be honest, making a nutritious decision isn’t always easy when you’re running out the door in the morning. 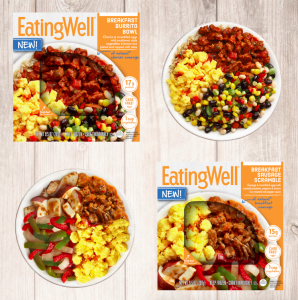 That’s why we’re so excited about our new EatingWell®entrees: Breakfast Sausage Scramble and Breakfast Burrito Bowl! Wholesome, satisfying and ready to grab, they’ll help you start your day the right way. Better Food. See for Yourself. We believe that food should be made with premium quality, real ingredients. And it shows! Both of our new frozen options are packed with cage-free* eggs, over 15 grams of protein and 1 cup of perfectly seasoned vegetables—never any artificial flavors, colors or preservatives. Plus, each one is vacuum sealed with FreshSeal®, which locks in the flavor and freshness you crave in the morning. From here on out, eating a better-for-you breakfast might be the easiest—and best—decision you make all day! Follow EatingWell® frozen entrées on Facebook and Instagram for tips, ideas, news and more. The Centers for Disease Control and Prevention recommends aiming for 150 minutes of moderate exercise (like brisk walking) each week. If you aren’t active today, start slowly and build up to this goal. Cool fact: A single workout can make you feel better about the way you look, according to a review of research in the Journal of Health Psychology. Instead of criticizing what you see in the mirror, try practicing a little body kindness instead. Acknowledge the benefits of your thick calves (hey, super stair-climber!) or strong hands (open this jar for me?). Cut back on social media, which can be swirl of unfair and unnecessary comparisons to other people. And think beyond weight or shape—focus on your emotional wellbeing too. Don’t eliminate foods you love—just be moderate and sensible about amount and frequency. Prioritize veggies, beans and whole grains. 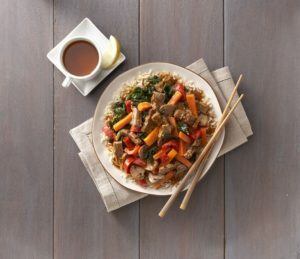 Cook healthy meals at home when you can, and supplement with our nutritious EatingWell® frozen entrées when time is tight. Looking for more ideas? Check out this 7-day meal plan from the editors of EatingWell magazine. Follow @EatingWellFrzn on Facebook, Instagram and Twitter for tips, ideas, news and more. Want to wow your guests? 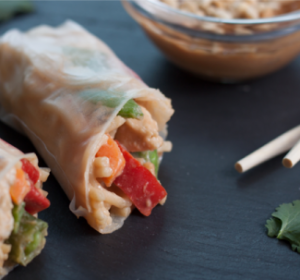 Whip up these spring rolls and take full credit for your restaurant-level appetizer game. Seriously, do you know a better pairing than SIMPLE and DELICIOUS? Follow this shortcut to put peanuty goodness on the table in just 10 minutes. 1. Heat Thai Style Peanut Chicken entrée according to package directions. 2. While entrée is cooking, fill a shallow dish with warm water and soak rice paper for 20 seconds to soften. 3. Lay wrapper flat on plate. Spoon cooked entrée on top and wrap. 4. Repeat the process until entrée is gone. 1. In a small bowl, combine 1 tbsp. of hoisin sauce and 1 tbsp. of peanut butter. 2. Mix until well combined and top with crushed peanuts. Looking for more frozen food hacks? Follow us on Facebook, Instagram and Twitter to see more, or post your own yummy inventions and tag us @EatingWellFrzn! Good Carbs? Yes, They’re Real! Eating clean doesn’t mean giving up carbs. (Phew!) It just means choosing the right kinds of healthy carbs that are packed with fiber, nutrients and antioxidants. The #1 rule: eat whole grains instead of refined grains and sugar. The cleanest whole grains are those that look the most like they did when harvested—think quinoa, brown rice and oats. But whole wheat pasta and whole grain bread are good options too. You just need to know what to watch for when you hit the grocery store. • Rice: Brown, purple, black and red rice are all whole grains and naturally gluten-free. tortillas are also a good option. Watch out for added sugars, like corn syrup. health benefits of good carbs! 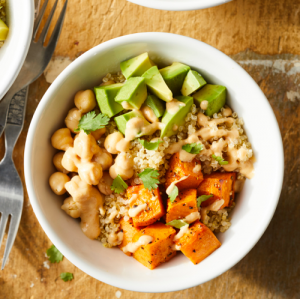 EatingWell frozen meals feature a range of tasty and satisfying whole grains and other good carbs, and our pals at EatingWell magazine have compiled dozens of recipes and awesome low-carb meal plans that help you get the nutrients you need. Follow EatingWell® frozen entrées on Facebook, Instagram and Twitter for tips, ideas, news and more. Hey, we get it, you’re super busy. We are, too! But that doesn’t mean nutritious eating goals should be tossed out with last week’s rotten produce. Want to know what a week of stress-free, healthy, ridiculously tasty lunches and dinners could look like? Read on. Prep takes 30 minutes or less on each and every option shown here. And there you have it. You can totally do this. 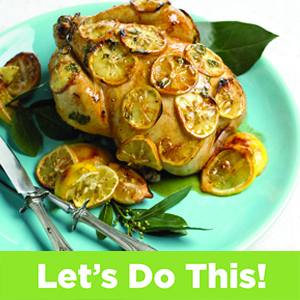 For more meal plans and awesome recipes, check out the EatingWell magazine site. For the latest on our frozen entrées, follow us on Facebook, Instagram and Twitter. Whether you have a gluten intolerance, celiac disease, or just a curiosity about the gluten-free lifestyle, here’s what you need to know. Found in wheat, barley, rye, and triticale (a cross between rye and wheat), gluten is a protein created when two sub-proteins combine with water. Gluten contributes to several characteristics in food, including structure, texture, and kneadability. What am I missing if I go gluten-free? First, bookmark this Gluten-Free Foods List prepared by a registered dietician at EatingWell magazine. Navigating stores and restaurants can be challenging, but trust us, this list covers just about everything! 1) Look for gluten-free pastas like bean, corn, rice and quinoa noodles. 2) Hummus is an easy-to-make or easy-to-find, naturally gluten-free dip. 4) Blend fruits and veggies for gluten-free smoothies brimming with healthy nutrients and protein. 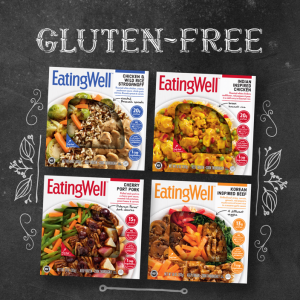 When you need something super quick and tasty, try one of our seven gluten-free EatingWell frozen entrées! Choose from Chicken & Wild Rice Stroganoff, Cherry Port Pork, Chicken & Fingerling Potatoes, Butter Chicken Masala, Steak Carne Asada, French Inspired Chicken or Korean Inspired Beef. For more tips and ideas, follow EatingWell® frozen entrées on Facebook, Instagram and Twitter. No matter how good your intentions may be, sticking to a nutritious meal plan can be tough. Shortcuts and temptations are EVERYWHERE! The solution? Weekend meal prep. Don’t be intimidated by planning and prepping meals for a full week. Start with one or two new recipes to keep things interesting, and make sure your kitchen is stocked with ingredients for familiar dishes you already know how to cook. Tuck a few EatingWell frozen entrées in the freezer to fill gaps during the week, or take them to work so you can resist those greasy street tacos at lunchtime. On meal prep day, tackle the basics for both your new and old recipes so on weeknights you can just throw things into a skillet, pot, or oven. Cook a protein. Prepare enough for two recipes, or one recipe plus leftovers. Extra roasted chicken makes a perfect salad topping, or can be tossed into a pasta bake. Cook a whole grain. Prepare a big batch of quinoa or brown rice to use as a base for simple stir-fry or grain bowls. Chop vegetables. Slice and dice so raw veggies are ready to cook, or roast or grill them so they can be easily reheated as a side dish or stirred into an omelet. Try to knock out one full make-ahead meal, too, so you can just heat and eat during the week. Casseroles and soups work especially well. If you’re really feeling ambitious, double the recipe and freeze half for later! For a little extra help and inspiration, check out the Menu Planner created by the experts at EatingWell magazine. 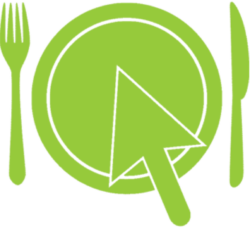 You can use this tool to create daily or weekly menus, print shopping lists, calculate your calorie intake, and follow your progress toward reaching your personal health goals. For more tips and ideas, follow EatingWell™ frozen entrées on Facebook, Instagram and Twitter. Our Korean Inspired Beef entrée is delicious on its own…but is it really fair to keep it all to yourself? Turn it into a fresh appetizer to share! A simple conversion of this frozen entrée into lettuce wraps not only amps up the veggie factor, it also makes it shareable. Super easy, super tasty. Grab a friend and enjoy. Cook Korean Inspired Beef frozen entrée according to package directions. While the entrée is cooking, break off lettuce leaves and rinse. 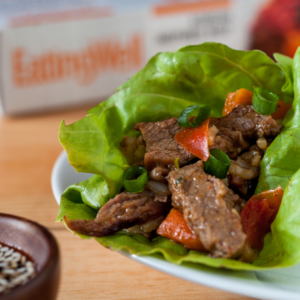 Spoon Korean Inspired Beef mixture into lettuce cups and top with scallions. For more frozen food hacks—like delicious Cherry Port Pork sliders—follow us on Facebook, Instagram and Twitter. Got your own ideas? Post your yummy inventions and tag us @EatingWellFrzn! Whole grains are packed with nutrients, including fiber, protein, B vitamins, antioxidants, and trace minerals (iron, zinc, copper, and magnesium). A diet rich in whole grains has been shown to reduce the risk of chronic diseases like type 2 diabetes, heart disease and some forms of cancer. Research also suggests that consuming fiber-rich foods might boost weight loss by helping you feel fuller after you eat. But most of us eat only about half as much fiber as we should. Nutrition guidelines recommend 25 to 38 grams per day; the average American consumes only about 14 grams. It’s not hard to boost your fiber intake. In addition to fruits and veggies, you’ll find whole grains in bread, smart snacks like popcorn—and even in some packaged foods like our EatingWell frozen entrées. If you’re reading this, chances are you also read food labels…but if you don’t, start now! 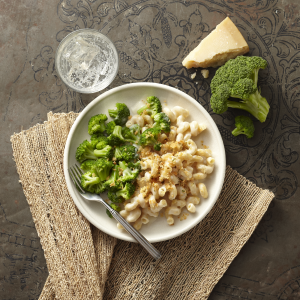 In our meals you’ll find goodies like whole grain cavatappi (Vermont Cheddar Mac & Cheese), 9 grain orzo (Creamy Pesto Chicken), brown rice (Korean Inspired Beef), and whole grain wild rice (Chicken & Wild Rice Stroganoff). 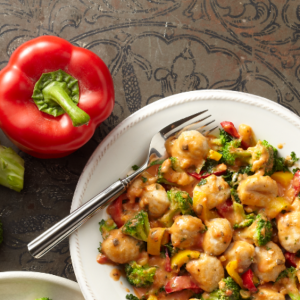 Starting this summer, look for our new entrées with whole wheat gnocchi (Gnocchi with Garden Vegetables) and multigrain pasta (Thai Style Peanut Chicken). And when you have time to whip up something from scratch, check out these delicious high-fiber whole grain recipes from the food and nutrition experts at EatingWell magazine. We’re big fans of the Overnight Oatmeal and Whole Wheat Pizza Dough. Yum! Follow EatingWell™ frozen entrées on Facebook, Instagram and Twitter for tips, ideas, news and more. Nervous to Try Korean Food? Don’t Be! You may be seeing words like “kimchi” and “bibimbap” pop up more frequently in Facebook videos, magazines, recipe websites, or restaurant menus. Korean cuisine is definitely having a moment in mainstream America, and we think it’s here to stay. Like BBQ? Try bulgogi! Kimchi is heaven for veggie-lovers. And bibimbap is a tasty mixed rice bowl with colorful vegetables, often topped with thinly sliced meat or egg. Japchae, gimbap… so much to explore! Now how could you not want to try this dish?! Once you’ve enjoyed our frozen entrée and you’re ready to dive deeper into the Korean food craze, check out these healthy Korean recipes from the experts at EatingWell magazine. We suggest starting with the Quick Cucumber Kimchi—simple and so good. a subsidiary of Meredith Corporation.